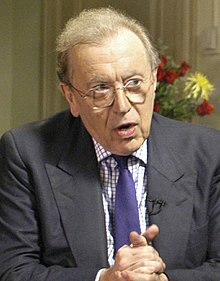 Sir David Paradine Frost (7 April 1939 – 31 August 2013) was an English journalist, comedian, writer, media personality and television host. Seriously, though, he's doing a grand job! David Frost has risen without trace. This page was last edited on 3 February 2019, at 21:06.